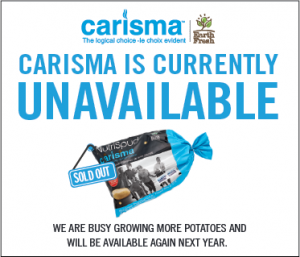 Wash Carisma potatoes, chop potatoes into 1 cm thick slices. Place sliced potatoes into hot (not boiling) water, then bring water to the boil. Cook until al dente. Potatoes should be firm but cooked through. Drain and cool. Slice all remaining vegetables into 1 cm thick slices and lightly brush all vegetables with olive oil. To assemble, alternatively place the vegetables and finish with balsamic glaze, and fresh basil leaves, season with salt and pepper, serve immediately.